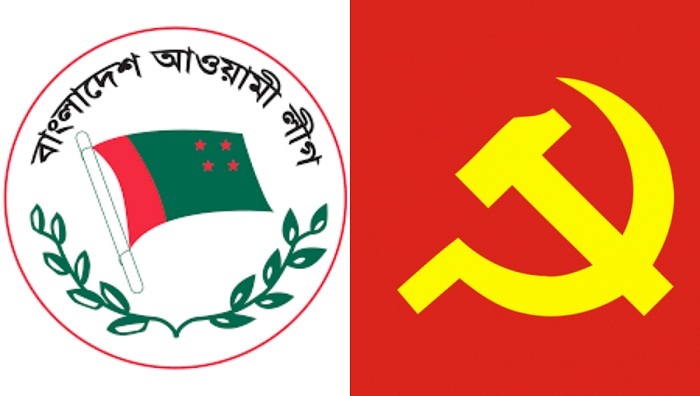 Awami League and Communist Party of China on Thursday signed a memorandum of understanding (MoU) to enhance cooperation between the two parties. AL International Affairs Secretary Dr Shammi Ahmed and visiting Minister of International Department of the Central Committee of Communist Party of China (CPC) Song Tao inked the MoU on behalf of their respective parties at the Prime Minister’s official residence Ganabhaban in the city. The deal was signed after a meeting between Prime Minister Sheikh Hasina and Song Tao at Ganabhaban in the evening. At the meeting, the Prime Minister sought China’s support for safe and sustainable return of Rohingyas to Myanmar from Bangladesh. “China can play an important role in repatriation of Rohingyas,” Nazrul quoted the Prime Minister as saying. Sheikh Hasina, also the AL president, hoped that the relations and cooperation between the two friendly governments and the two parties will strengthen further in the days to come. Song Tao also expressed the same hope, saying CPC and AL believe in the similar ideology. He, on behalf of the CPC, again greeted Sheikh Hasina on her assumption as the Prime Minister of Bangladesh for the fourth term. The CPC leader appreciated Bangladesh’s high GDP growth as more than 8 percent growth would be achieved in the current fiscal year. On behalf of the Chinese President and the Prime Minister, he invited Sheikh Hasina to visit China. State Minister for Foreign Affairs M Shahriar Alam, and AL leaders Faruk Khan, Mohammad Jamir, Mahbubul Alam Hanif, Jahangir Kabir Nanak and Abdur Rahman were, among others, present.